We manufacture, export and supply Instant Tray Material at the most affordable prices. 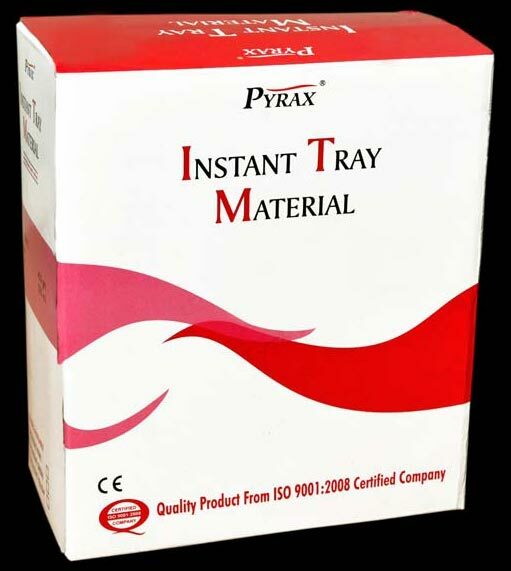 We have individual impression trays and base plates, these Instant Trays are available in few minutes. Finished tray strength is very good and will not warp or break, when pressure is applied. We provide Instant Tray Material in different colors like fluorescent Green, Red and Yellow. In fact, Instant Tray Material is quite light weight and very economical.